Published on June 21, 2012 in Bands/Artists, Eastern Iowa, Music, Out and About, Personal History, Uncategorized and Upcoming Show. 0 Comments Tags: 2012, Fleetwood Mac, Iowa City, lindsey Buckingham, Live, September 2, show, The Englert, The Gift of Screws, The Seeds We Sow. Lindsey Buckingham is having the time of his life. Certainly, the last few years have been very productive for Buckingham, starting with an out-of-the-blue solo album in 2006, a derailed follow up that morphed into a new studio album for a re-ignited Fleetwood Mac, a re-imagining of the derailed follow up in 2008, a live album and then The Seeds We Sow in 2011. The Seeds We Sow represents Buckingham taking full control over his career handling all of the recording, production and also releasing himself. The album is a very up-close-and-personal perspective of Buckingham at times sounding like a really well-produced home demo, which I suppose it really is. I consider Lindsey Buckingham to be a personal musical hero. His distinct sound and contribution to the canon of rock music with his solo work as well as his years in Fleetwood Mac have impacted me at a level that might be chromosomal. I started listening to music on my own around the time of Rumours and his music has been with me ever since. I have been fortunate to see him with the Mighty Mac three times in my life but never solo, so the news that he will be performing at the wonderful Englert Theatre in Iowa City on Labor Day Weekend is exciting news! He will be performing at 8PM on Sunday, September 2rd. The presale for the show started on Tuesday for Friends of the Englert, and general sale for the show starts on Friday, June 22nd at 1PM. Tickets are $55 for Tier One Tickets and $45 for Tier Two. Click Here for more information about Lindsey Buckingham at The Englert in Iowa City, including how to order tickets. Click Here to find out about how you can be a Friend of the Englert and get in on great pre-sale deals and other perks. Published on May 16, 2009 in Bands/Artists, In The Bins, Music, Out and About, Personal History and Vinyl. 0 Comments Tags: Bruce Springsteen, E Street Band, Fleetwood Mac, Half-Price Books, Rumours, Vinyl. Sherry wanted to make a stop at GNC to pick up some gluten-free food, so I took the opportunity to visit Half-Price Books. The last time I stopped in the vinyl was very picked over from the Christmas rush and the following sales. This time the vinyl was starting to get replenished and I found some pretty nice vinyl in there. I only picked up a couple of records this trip– both of them on my “list” to buy. 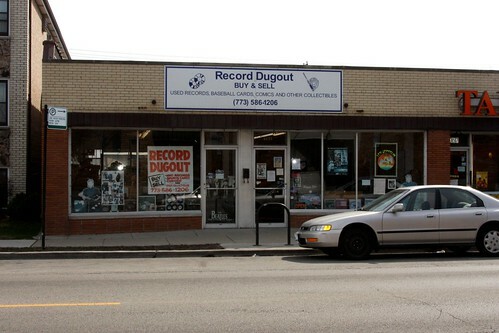 There was a disappointingly large amount of BMG/Columbia House pressings in the bins. I tend to stay away from these on vinyl because I’m not sure how the mastering happened. If I had to guess, they get a set of tapes from the non BMG labels (Warner Brothers, for example) and they made their mastering copies from that. So, the pressings shouldn’t be much different than the original label release, but I don’t know that for a fact. There was a pristine copy of Caught Live + 5 by the Moody Blues that was a Columbia House pressing. I would love to have this on vinyl, but I’m willing to wait until I get an actual Threshold Records release. Born to Run – Bruce Springsteen (LP, Columbia JC 33795. 1975) ($5.99) This is one of the better copies I’ve seen of this in my travails. Arguably Springsteen’s meisterwerk. Another album that I feel pretty much everything that can be said has been. The box set I picked up at HPB prior to this with its documentary renewed my appreciation of this album. I still prefer Darkness on the Edge of Town and The River over this release, but no Springsteen collection should be without this. Gorgeous gatefold and iconic red Columbia Records label. ’nuff said. Published on January 2, 2009 in Bands/Artists, In The Bins, Music and Vinyl. 0 Comments Tags: 180g vinyl, B-Sides in the Bins, CD, Charlie Brown Christmas, Fleetwood Mac, Jurassic 5, LP, Mudcrutch, Pulp Fiction, Stevie Nicks, Tom Petty, Vince Guaraldi, Vinyl. 2008 was the year of new vinyl for me. Between my 40th birthday and Christmas I ended up with some cool pieces for the collection. Likely, my family is breathing a collective sigh of relief as I think I was a bit difficult to buy for when someone would get my name from the gift exchange drawing. Since I don’t really buy that much new vinyl for myself– I tend to stick to used– pretty much any title that they would like, I would probably like, too. I got a couple of CD’s as well. I keep my Amazon wish list up-to-date which is pretty helpful for gift selection as well. Jurassic 5 – J5 Deluxe Re-Issue (2 CD, 1 DVD, Decon DCN65, 2008) (gift) My daughter got me this from my Amazon Wish List. I totally forgot about this release, so this was a nice surprise! The J5 Deluxe Re-Issue is a reissue of the first Jurassic 5 album from 1997. The original album was released on Interscope and had apparently been out-of-print since 2004 and held up due to contractural disputes. The original album is here along with a second CD full of hard-to-find and previously unreleased stuff. The DVD has a movie from J5’s first world tour, some concert footage from Brixton Academy and the “Concrete Schoolyard” music video. Nice to get back to this– I stopped listening to J5 after Cut Chemist left and they released Feedback, which was not great. When the hell is 2na going to release his solo joint? Vince Guaraldi – A Charlie Brown Christmas (3 CD Collector’s Edition Tin, Madacy Entertainment TC2 53161) (gift) This was a stocking-stuffer. A festive metal tin holding two Fantasy CD’s– The 2006 remaster of A Charlie Brown Christmas with the bonus tracks, and Charlie Brown’s Holiday Hits which has some of the songs from Christmas, but has songs from A Boy Named Charlie Brown, the wonderful “Thanksgiving Theme” from the Charlie Brown Thanksgiving special, “Great Pumpkin Waltz” from “It’s The Great Pumpkin,” and others. The third disc is the David Benoit Jazz tribute 40 Years – A Charlie Brown Christmas with some notable assistance from The Rippingtons, Chaka Khan, Dave Koz, Brian McKnight, Toni Braxton and Vanessa Williams. A neat collection in a tin that shares the artwork with the 2006 Christmas release, which used the original 1965 artwork. Unfortunately, the liner notes for Holiday Hits don’t do a good job of explaining where the songs that aren’t from Christmas and A Boy Named Charlie Brown came from. A little digging turned some information up. Special thanks to Vince Guaraldi’s Peanuts Song Library at fivecentsplease.org which is the insanely comprehensive Peanuts site. 5. Camptown Races (2:22) from ? 6. Oh, Good Grief (1:56) actually “Schroeder” with Lee Mendelson’s son Glenn’s sixth-grade class singing. 7. Charlie Brown Theme (4:19) on A Boy Named Charlie Brown, but included in a bunch of the specials. Mudcrutch – Extended Play Live! (12″ EP & CD, Reprise 516850, 2008) (gift) In a similar fashion to the Mudcrutch LP, this EP came with a “full dynamic range” CD. This means that the CD isn’t suffering from the compression that a lot of releases have today. Mudcrutch was the band that Petty along with Heartbreakers Tom Leadon, Benmont Tench and Mike Campbell were in before Tom formed the Heartbreakers in 1976. Rather than succumb to fans requests for releasing Mudcrutch’s “lost album” Tom brought the band back together and recorded a new album which used some of the original tracks recorded for Shelter records. 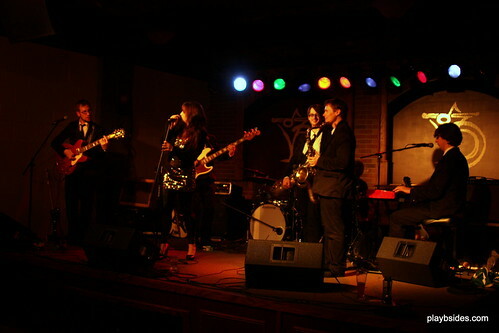 This live EP is made up of songs recorded over three shows in April and May of 2008. I need to go get the Mudcrutch album, too. Various artists – Music from the Motion Picture Pulp Fiction (LP, MCA 0008811110314, 1994) (gift) This is the first of the new “Back to Black” pressings I have– at least the first with that identified on it. Looking at the Back to Black website, it would appear that the new Police Live album is a Back to Black as well. 180g vinyl in the original packaging– which doesn’t mean a lot since it wasn’t a gatefold cover or anything exciting like that. I wasn’t aware that this soundtrack had been on vinyl originally. One of my favorite movies and certainly soundtrack with its fun blend of surf tunes and 60’s songs. Mastered by Steve Hau at Future Disc Systems. 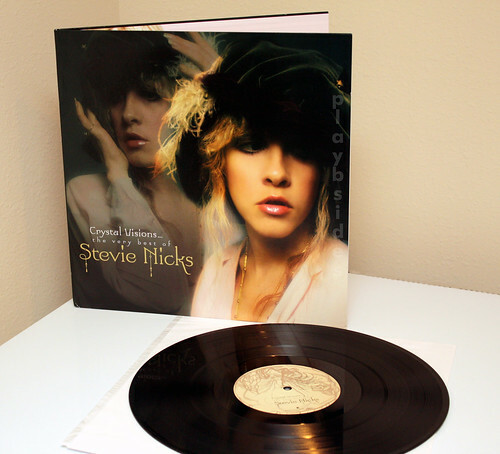 Stevie Nicks – Crystal Visions… the Very Best of Stevie Nicks (2 LP, Reprise 100363-2, 2007) (gift) All I can say about this is… “wow!” Everything about this release is an audiophile’s dream: 2 180g LP’s in lined paper sleeves housed in a gatefold with beautiful artwork and very flattering photos of Stevie at various points in her career. In addition, there is a 1-page sheet with the credits that is in the pocket with the first LP which also includes Stevie’s notes on each song! The compilation draws mostly from her very successful solo career, but also has some choice Fleetwood Mac tracks. Again we get “Silver Springs” which was rescued from certain obscurity during the Dance tour and album and has been restored to every pressing of Rumours since. We get a recent live version of “Rhiannon” and the 2005 clubby remix of “Dreams” (which apparently has new vocals). We get a couple of live tracks performed with the Melbourne Symphony including “Landslide” and a nine-minute “Edge of Seventeen.” The album is bookended by two versions of “Seventeen”– it opens with the original album version from Bella Donna, and closes with the live version. Although the live version is longer and involves the symphony, it really isn’t dramatically different than the orignal song since it has drums and electric guitars. Half-Speed Mastered by Stan Ricker, Plating and Pressing at R.T.I. Published on July 23, 2008 in Bands/Artists and Music. 0 Comments Tags: Fleetwood Mac, lindsey Buckingham, Live, Sheryl Crow, Stevie Nicks. Right on the heels of Lindsey Buckingham’s announcement of his new solo album due in September we get the announcement that while Fleetwood Mac will tour in early 2009, they will do it without Sheryl Crow as previously and extensively reported. In Billboard today Lindsey was quoted saying that the reports of Sheryl Crow as a member of Fleetwood Mac “kinda got out of hand.” There were original discussions with Crow, but the group decided that although they had previously felt there was “too much testosterone on the stage” during their last tour in 2003, the most appropriate direction was to focus as the core foursome. The plans are to tour after rehearsals in January as a means to warm up to working in the studio– “maybe even sowing some seeds musically that would get us more prepared to go in the studio rather than just going in cold,” said Buckingham. I saw Fleetwood Mac in 2003 in Madison, WI during the Say You Will tour and was very impressed with how the band carried the live show without Christine McVie. I will certainly be seeing them in 2009. Published on July 15, 2008 in Bands/Artists, Music and Upcoming Show. 0 Comments Tags: aborted album. 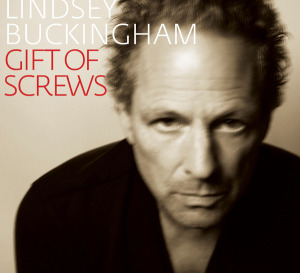 tour, Fleetwood Mac, Gift of Screws, lindsey Buckingham, Under the Skin. So, what we have now according to a news item from Billboard today is a mostly new Gift of Screws to be released September 16th on Reprise that also has the rhythm section of McVie and Fleetwood from Fleetwood Mac on a number of songs. Click here for my 2006 article comparing the aborted version of Gift of Screws to Under the Skin. The plan is for Buckingham to tour in support of Screws this Fall and for a possibly-augmented Fleetwood Mac to tour in early-’09. 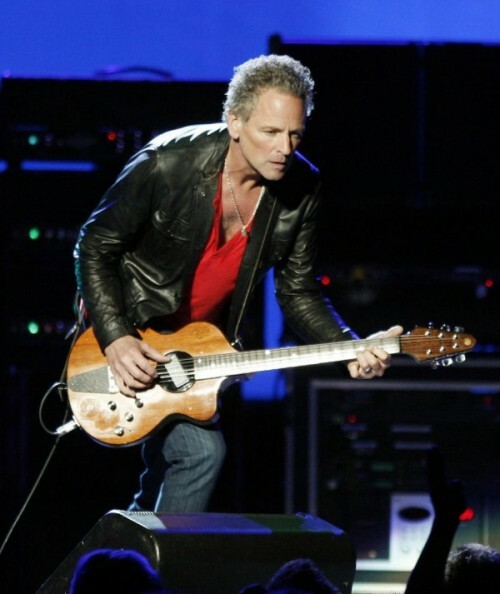 Visit lindseybuckingham.com to see the list of tour dates. Published on September 6, 2006 in Bands/Artists and Music. 2 Comments Tags: Fleetwood Mac, Gift of Screws, lindsey Buckingham, Say You Will, Under the Skin. Under the Skin includes three tracks from Gift of Screws that Lindsey aborted in favor of Fleetwood Mac’s 2003 album Say You Will. 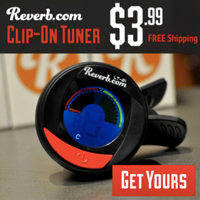 Say You Will also benefited from his work in turn by getting a number of tracks from Gift of Screws. Under the Skin also includes the track “Shut Us Down” which was used in the soundtrack to the movie Elizabethtown. If you have heard the Gift of Screws tracks, then there are really only four new songs, here. Not that I’m complaining, however. I welcome any new release from Lindsey whether it is solo or as Fleetwood Mac. The songs that aren’t released, yet are really good ones. I’d be interested to see if he will use them as b-sides or bonus tracks in the future. He has also announced tour dates starting in October. If you pre-order his CD from Ticketmaster you can get pre-sale tickets for upcoming shows, which might be worth doing. Lindsey has a myspace page, too. The Time to play b-sides archives for the fleetwood-mac tag.